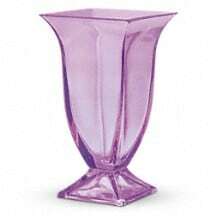 Lavender so lush you could get lost in it - the lavender roses, the handmade lavender glass pedestal vase. 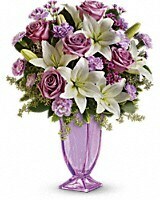 Mom will be thrilled by this delightfully dramatic bouquet, and cherish the vase as a special memento of a most special day. 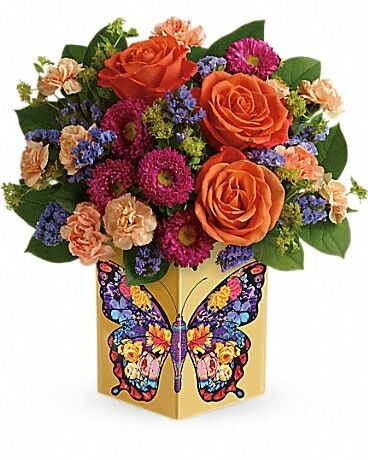 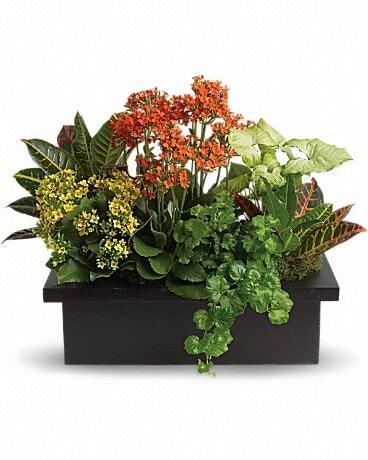 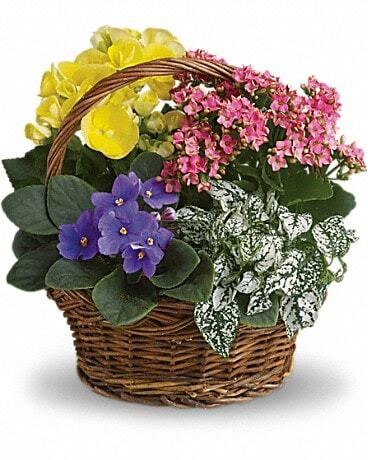 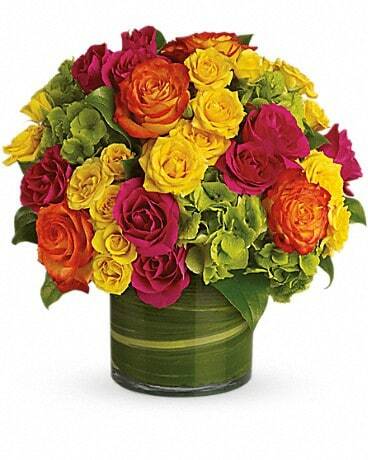 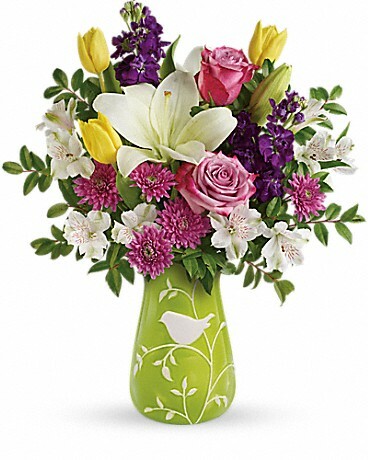 Show Mom you appreciate all she's given you by giving her something that will bring her joy now and forever. 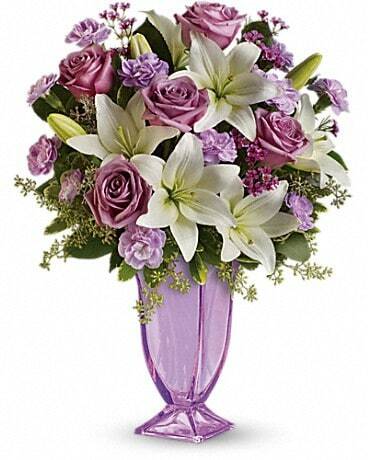 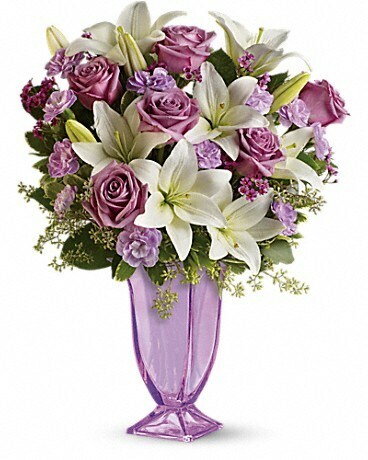 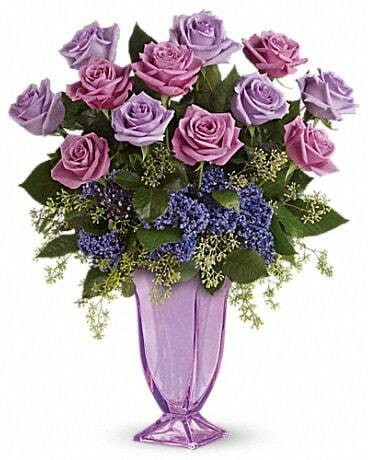 Send her lavender roses and fragrant white lilies in an exquisite handmade purple glass pedestal vase. 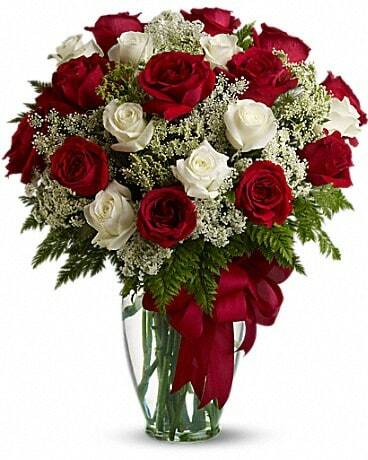 She'll love you even more.